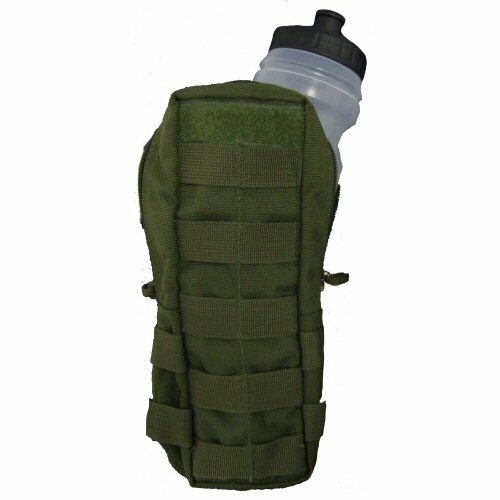 MOLLE water bottle pouch for standard 750ml sport bottles by Bulle. 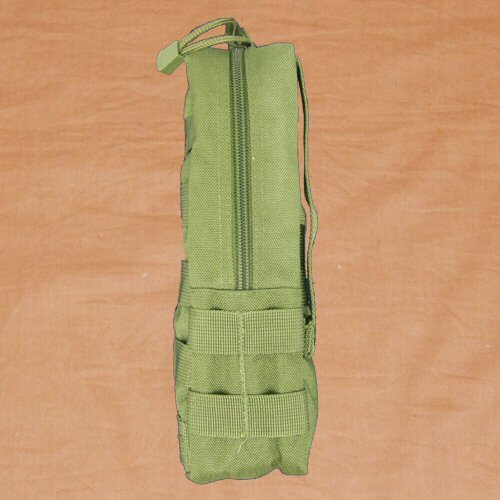 This pouch doubles as a tall utility pouch suitable for certain types of tall magazine, batteries, or fitting to the sides of MOLLE packs and rucksacks when the sport bottle is not inserted. The pouch is fully lined internally to provide some insulation from hot, dusty conditions. 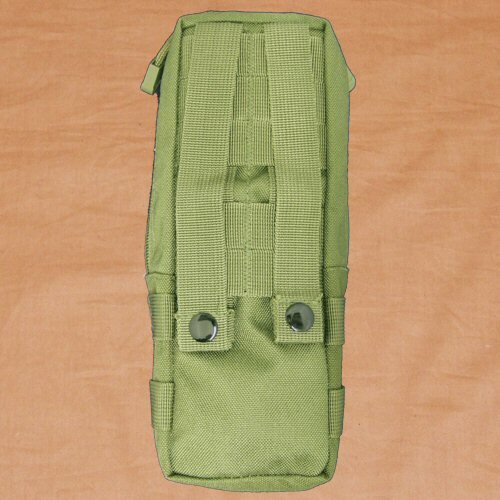 The pouch measures 250mm tall, 80mm wide and 75mm deep and is fitted with MOLLE strapping on the front and sides. A 25mm velcro patch is fitted to the top of the pouch for identification of contents. The pouch zips open over 50% of its sides and top for quick and easy access by means of a double zipper from YKK. The zip pulls are made from cord which terminates in UTX flex milspec cord pulls. The pouch can be left open just at the top to allow easy access to the sport bottle spout. 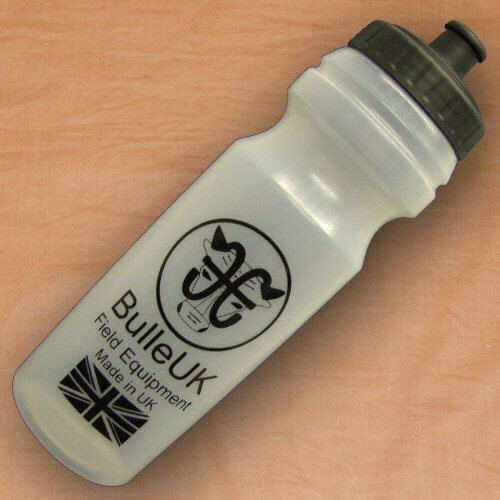 The bottle is made in the UK from hygenic translucent plastic which is designed to be able to flex and be squeezed. The cap is a push-pull type which can be operated with one hand but will not spill unless the spout has been pulled into the open position. Price is for ONE pouch and water bottle only.